MEERKATGAMES or well known as Arena Masters, launches it’s Munchkin.io Online – Battle Royal game in the Philippines last month June 21, 2018. The game is now available for Android in Google Playstore. MUNCHKIN.io is real time online battle royal game with io style. It is easy to learn, really simple game. At every level you can choose different skills or items, try to make you own item set. You can feel thrill of battle royal game with cute characters. Achieve crown through raise level in the game. Besides you can play Munchkin ball mode. Munchkin ball is 4vs4 football mode. While playing football fight enemies to score a goal. Score 3 goals first or score more goals to win. You can download the game right now on Google Play Store. Check some of the game screenshot below. MEERKATGAMES or well known as Arena Masters, launches it's Munchkin.io Online - Battle Royal game in the Philippines last month June 21, 2018. The game is now available for Android in Google Playstore. MUNCHKIN.io is real time online battle royal game with io style. It is easy to learn, really simple game. At every level you can choose different skills or items, try to make you own item set. 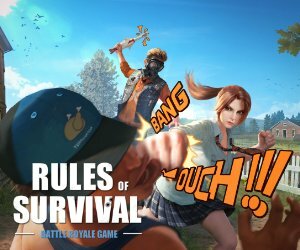 You can feel thrill of battle royal game with cute characters. Achieve crown through raise level in the game. Besides you can play Munchkin ball mode. Munchkin ball is 4vs4 football mode. While playing football fight enemies to score a goal. Score 3 goals first or score more goals to win. You can download the game right now on Google Play Store. Check some of the game screenshot below.